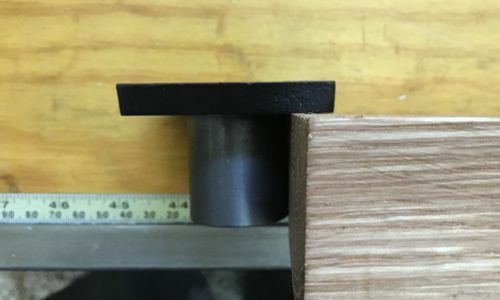 I’ve been thinking about the problem of how I’m going to mount the vise to the bench. 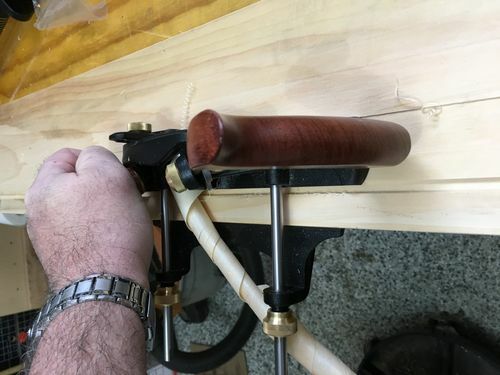 Specifically, there’s no good way to get behind the apron of my bench to screw in the nuts for the vise. And I can’t just mount the rear jaw straight onto the apron with the nuts in between. 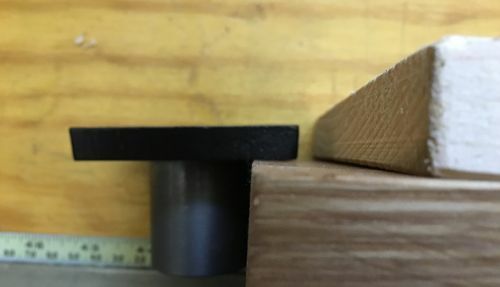 So, I cut a piece of ¾” pine to the same size as the rear jaw of the vise. 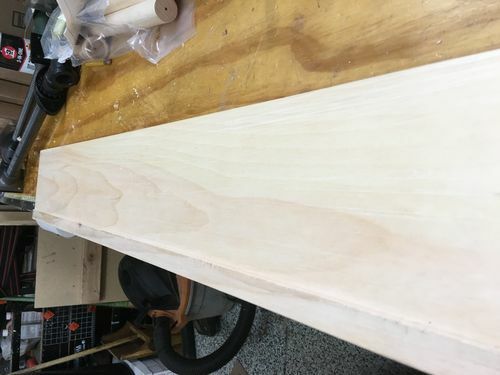 I’ll notch in spots for the nuts, and screw them into the rear jaw of the vise, sandwich on the pine board, and then bolt the whole mess to the apron of my bench. It’ll look kinda like below, except there’ll be another vise jaw and some hardware. 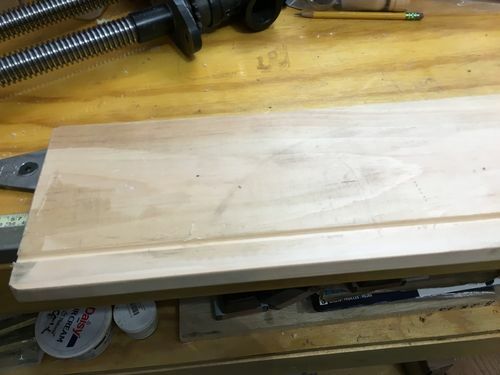 Got the wide rabbet cut on the back of the pine board. Started with a narrow rabbet, cut with my combination plane. It goes through pine like butter. Boy! It’s fun using a skew rabbet plane cutting almost millimeter-thick shavings full length on a 3’ long pine board. I still have to notch the front of this piece to make room for the vise-nuts, but it was time to get a coat of oil on it and go rest my back again. With any luck, tomorrow I can start marking where the holes go. Sorry for the sideways pictures. Too lazy to fix them just now. Your sorry ! what about my poor neck!